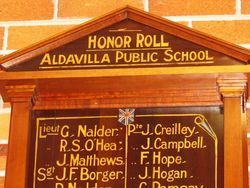 In Aldavilla Public School on Wednesday afternoon last, an Honor Board was unveiled, bearing the following names: Lieutenants G. Nalder, R. S. O'Hea, J. Matthews, Sergeants J. F. Borger and Robert Nalder, Cpls. M. C. Borger, Lesley Nalder, R Matthews, Ptes. E. Davy, G. Ptolemy. 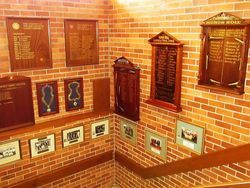 W. Bowen, G. Hawes, J. Vest, W. Rudder, J. Creilley, J. Campbell, F. Hope, J. Hogan, C. Ramsay, L. Rudder, F. Howley, P. Secomb, C. Secomb, C. Porter, T. Ramsay. J. Stewart, M. Bowen, G. Korn. 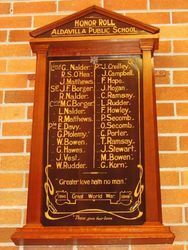 The Board was unveiled by Mrs. P. Matthews, of West Kempsey, two sons of whom are named on the Board. 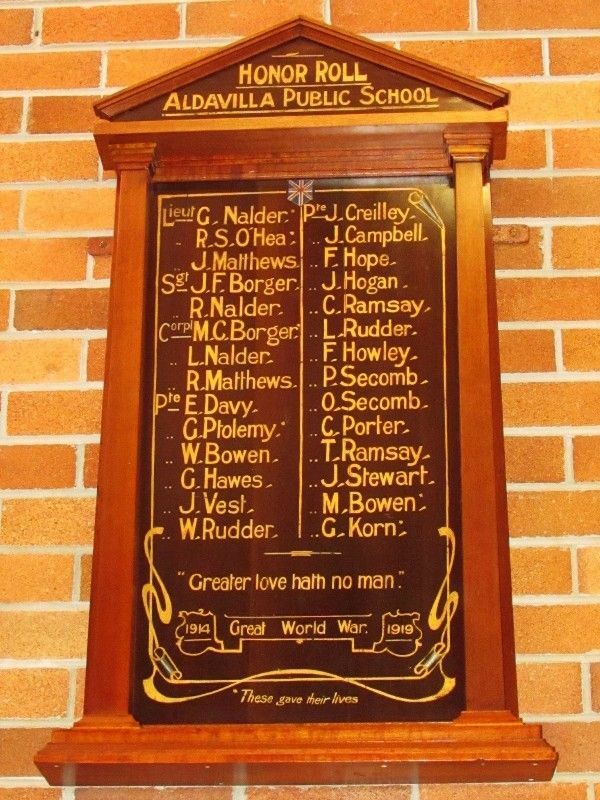 Messrs. W. Harvey and Son constructed the board from Yarrahappini maple, and Mr. W. Taylor did the lettering, the whole making a fine piece of work. The Macleay Chronicle (Kempsey, NSW), 24 December 1919.